Some of our fans didn’t really understand that we already sometimes granted the second request, but we didn’t push that. Our standard overhang is generous, about 1/4″ past the page edges. One of our challenges concerned the leather choice. 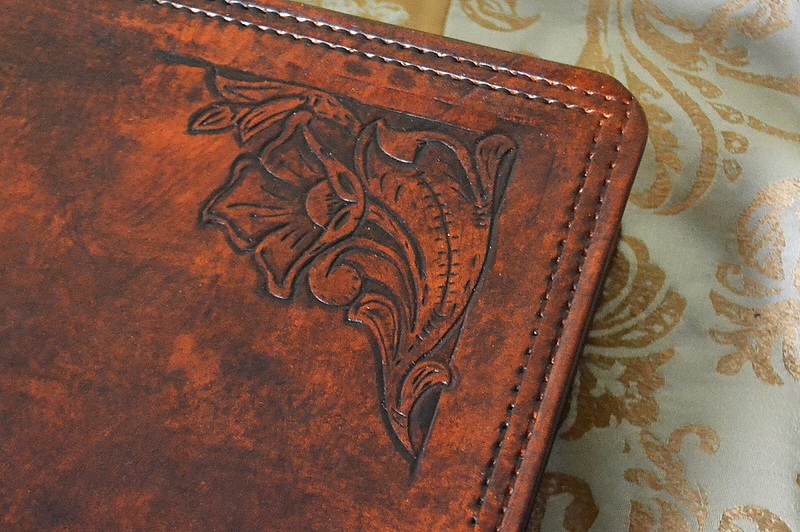 The leathers we regularly use for rebinding are too thick for lining with leather. Fans of leather linings like them because of their limpness and flexibility. But if we added more leather to our already-thick leathers, this would not make them limper or more flexible, any more than layering a child with four soft sweaters would make it easier for her to move around. 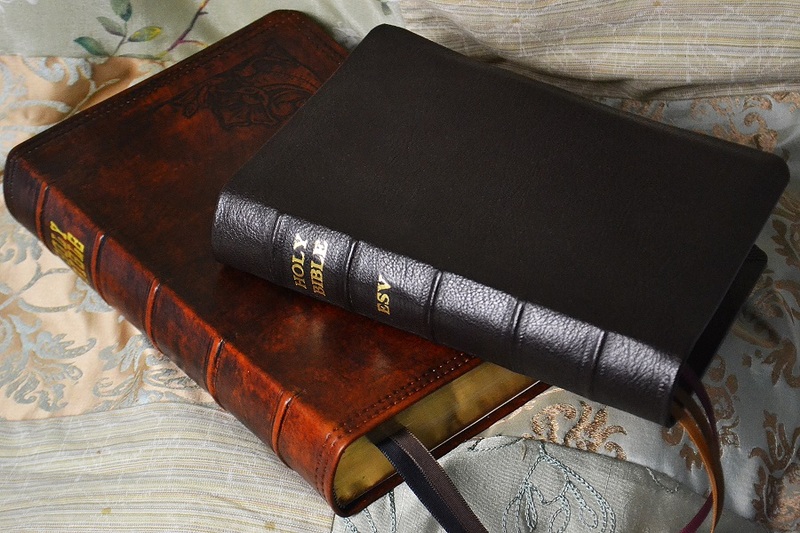 No, it takes a thin leather — something we would not want to use in our normal Bible covers. So we set about finding the perfect thinner leather, matching them up with various lining candidates, spending many hours of research and development time making sample covers to see if they would work. We also invested time on the design, to make sure we could deliver a product that would be well-loved — nice, well-formed corners and even edges that wouldn’t get caught on things, as well as doing away with the bulky area where the leather lining met the end pages. We believe we found the answer to the thin leather question in our new River Grain goatskin. This leather comes in six popular colors and has a lovely texture. But we also know many of our Leonard’s fans are fans of Options. 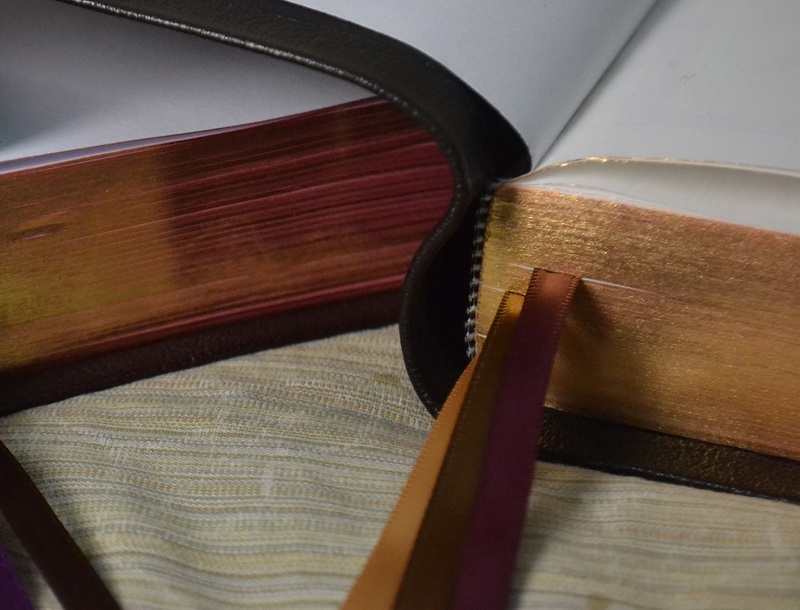 While it’s true that only one type of goatskin will be used for this leather-lined Bible project, we are going to give you many options you can choose from, so that you can have a custom Bible that fits your personality. Of course, as always, the text block inside is still your decision — whether it’s a King James, a Message Remix or a Knox, and whether it’s a new one with a bonded leather cover or a well-loved one with copious notes that just could not be retired. 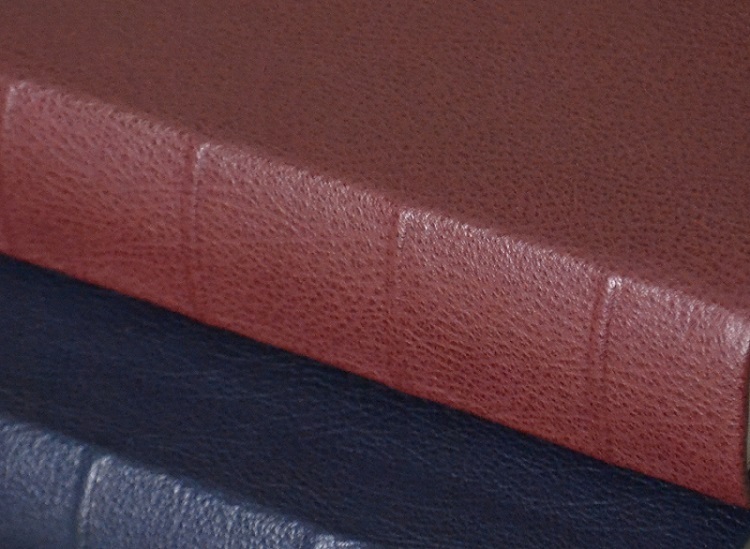 So, this Bible will be lined on the inside with a smooth grained lambskin for maximum quality, softness, and flexibility. 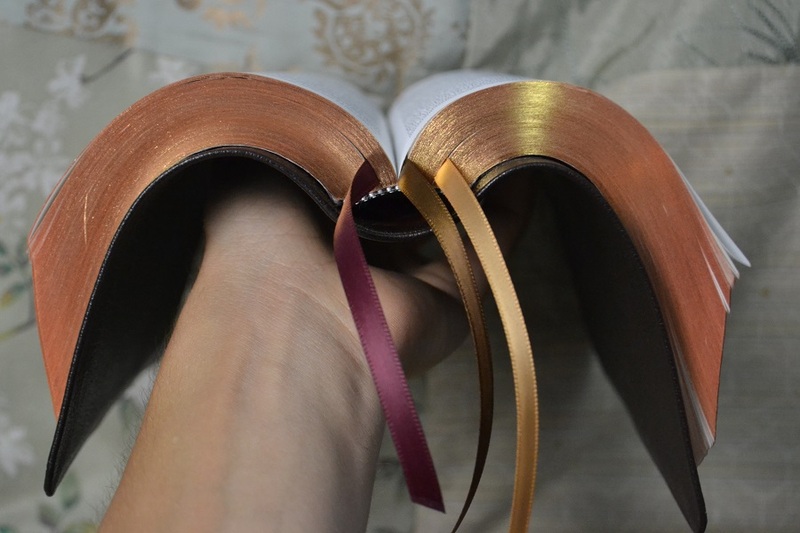 The imprinting will be “Holy Bible” in gold or silver, and we’ll put our name at the bottom (but subtly), so you’ll remember where you had your Bible’s cover made. 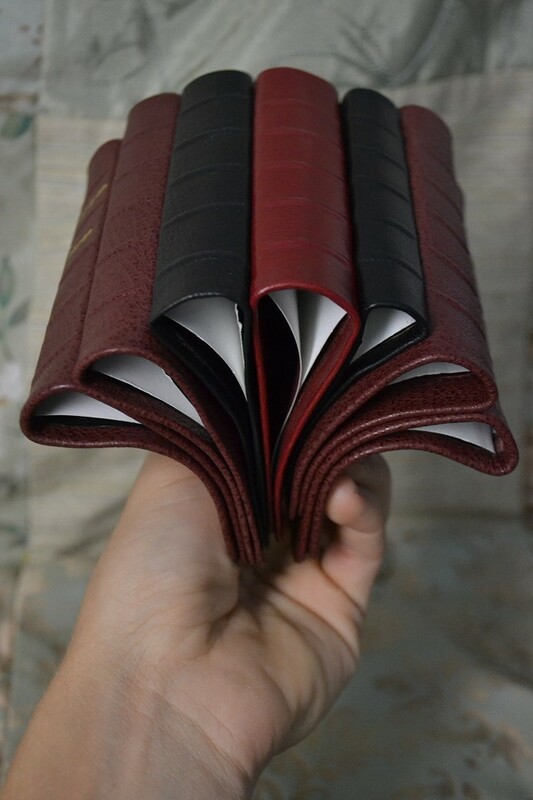 But there are several mix ‘n’ match options — you may choose the color of the goatskin, the color of the lambskin and color / style of end pages, as well as the color and width of the ribbons. AND, you may choose how long the yapp will be — standard (1/4″), longer (3/8″), or longest (1/2″). For more information about these options and how they would work on your Bible, see our Specialty Bible Rebinding Styles page. This new style is an upgrade from our popular American West II style, in hand-dyed English calfskin, featuring some cool Western tooling, for the cowboys and wannabes among us. It will make you want to jump on a horse and ride away into the sunset. What can we say? The pictures will explain it all. For more information and lots of pictures about this cool style, see our Specialty Rebinding Styles page.